A blog about anything Geo and applying spatial thought to the world! This will be my last post in this series of my Military Geography awareness postings. I had fun researching and writing this topic. In this last posting, I want to highlight the effects of weather, climate, and terrain on military forces and how geography plays an instrumental role in this. A couple of years ago, I read book entitled Battling the elements: weather and terrain in the conduct of war by Harold Winters. This book was not only intriguing to me, but also interesting at the same time in how it depicts various scenarios on how geographies played a crucial role in winning or losing battles. This posting is a conglomeration of my thoughts with historical facts contained within this book. Military operations have continuously been effected by various climates that have posed many problems for militaries in foreign lands. Ground, naval, and air forces each are affected by climate in different ways, but also have some similarities among them. Those forces that conduct an offensive battle in another climate have usually resulted in a decisive loss. In order to counter the threat that the climate poses in a foreign land, military strategists and climatologists must do their part to educate their own military force to be effective. This can be done by understanding the seasonal changes and how terrain and soil will be impacted by the temperatures and precipitation. Though no strategy will be completely perfect since the weather within the climate may change from year to year, individuals can still study the historical commonalities over time to establish trends and patterns that will benefit their military force. The impact of a climate in a foreign land has had devastating results on the movement and logistics of a military. Intruders into a foreign region may be deceived by the weather in an area and not understand the long-term climatic effects. Climatic factors that have affected historic campaigns consisted of temperature and precipitation as the primary forces. Ultimately, these effects of nature have disintegrated armies in the past. In Russia, temperature levels greatly rise in the summer months, but as the year progresses, the temperatures fall drastically. In the past 300 years, three armies attempted to invade Russia regardless of its climate. 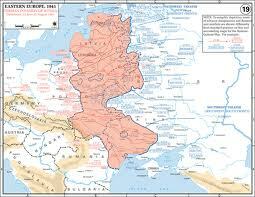 The Swedes, French, and Germans have all suffered greatly as a result of Russia’s weather and climate. Temperature can be broken down into extreme heat and cold. Each extreme affects military forces in several different ways depending on the climate the invading country originated from previously. Extreme heat is preferably more favorable than cold. For example, most military campaigns against Russia have began in the summer months since the movement of ground forces was somewhat more formidable than in the winter. The climate in Western Europe relies mainly on air that originates from the nearby ocean which allows for more moderate temperatures. This climate is very different than in Eastern Europe, where the ocean cooling and heating occurs at a slower rate since it is further inland. In addition, Russia is a vast territory in size which allows for four major climates that affect its physical environment: tundra, subarctic, continental, and temperate. Moreover, extreme cold temperatures create hazards for military forces that are unprepared when traveling from less extreme climates. For example, the lack of seasonal uniforms that were worn by the Germans during their invasion of Russia forces major delays in their advancement into Russia’s heartland, because of their need to warm their troops and equipment. In addition, soldiers can become frost bitten which allows soldiers to be more susceptible to death, injuries, disease, or desertion if they are inadequately dressed. Therefore, climatic temperature can have a great impact on a military forces’ physical and mental well-being when traveling across great distances. On the other hand, precipitation and moisture can cause damage to any military force regardless whether it’s hot or cold. In summer months, continuous thunderstorms cause the soil to loosen which results in the ground turning to mud. Climates that rapid cooling occurs in leads to temperatures dropping dramatically; therefore, colder regions of the world endure large quantities of snow. In Russia, the large amounts of snow cover allows for reflection of the sun’s energy, ultimately prolonging the arrival of spring. These conditions were quite different than in Western Europe’s winter and both the German and French armies were not prepared for the Russian winter. The aforementioned climatic factors have ultimately decided the outcomes of military campaigns. Every military force that decides to invade or fight against another nation in a different climate needs to understand the geographic setting and how the weather will impact their mission. In addition, historic military forces typically have not been prepared with plentiful supplies, resources, and vehicles in order to carry out their mission in an efficient capacity. A prime example of military forces that have operated from one climate zone to another during a seasonal change was the German and French invasion of Russia. These two military invasions based their planning and operations during summer and fall months for their movement into Russia in the hopes for a short battle. Both militaries expected to return to their respected home countries prior to the arrival of winter. As a result, each army did not plan for the harsh winter which became their ultimate demise. Regardless, both armies traveled eastward during the pleasant weather conditions in Western Europe in the summer months. As the early autumn months arrived, harsh thunderstorms created mud conditions which drastically slowed down the army’s trafficability. In 1812, autumn was shortened by frigid temperatures as well as extreme cold and snowy conditions. In 1941, the Germans encountered a long wet autumn which then transitioned into similar harsh conditions that the French faced. Inadequately equipped soldiers and limited shelter became more damaging to the invaders than any other force. Overall, both armies were forced to retreat because the French and Germans were not match for the brutal climate in Russia. Militaries have traveled great distances into unfamiliar climates throughout history in order to gain territory or show superiority to another region of the world. During a campaign under these pretenses, militaries encounter dust, mud, frost, chill, and hot conditions. Each of these climatic factors can weaken soldiers and their trafficability as well as affecting their logistics. These factors also impact the maintenance and functionality of weapons and equipment. Visibility can often be impaired by such climatic conditions for ground and air operations. Moreover, air warfare is also impacted by cloud coverage and fog which also contributes to reduced visibility, especially in geographic regions where this type of atmospherics are prevelant. In combining these factors along with the terrain, many foreign armies can expect conditions harsher than in an actual battle. All climatic factors impact ground forces’ movement and maneuverability in several different ways. The effects on trafficability change considerably with the progressions of the seasons. Climates throughout the world vary in the levels of precipitation that is accumulated over time. Some climates are mainly dry, while others can be consistently wet or change in the amount of rainfall every year. The physical environment ultimately determines how a climate will impact military movement. Constant rainy conditions often cause a muddy setting. Mud almost always reduces travel time, and stalls machinery, vehicles, and soldiers usually by the unfavorable conditions mud creates in the ground. 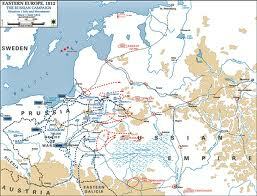 This seemed to be a huge obstacle for the German and French armies when traveling into Russia. In higher latitudes, winter conditions also effect movement greatly. Countries located in these climates have an edge because they are used to the harsh weather. Foreigners that are not familiar with these types of conditions usually are unprepared in many ways. Also, these climates have excessive snow amounts which impede wheeled vehicles and persons especially when the snowfall exceeds 12 inches. Either of these conditions can completely halt or slow down movement, which was the case for the Germans in Operation Barbossa, and were forced to travel 12 miles in 2 days as a result of the foreign climate. On the other hand, a benefit of higher latitude climates is when the ground freezes on open terrain, faster movement will occur because of the hardened soil which is ideal for ground forces. Lastly, climatic conditions also have a huge impact on the logistics of an army. For example, in June 1812, the French army traveled over the Niemen River in modern-day Lithuania and became stuck in a series of prolonged thunderstorms. These thunderstorms caused the ground to become so muddy that they had to leave behind many heavy wagons filled with many supplies and equipment needed for the journey to Russia. Assuming they would return to France prior to the start of winter, the French also brought a limited amount of supplies with them and as a result, the late summer and autumn months became very troublesome. In the winter months, logistic necessities such as fuel, food, and water became scarce an armies had trouble acquiring the necessary supplies because of the harsh conditions and distance from friendly supply depots. In addition, this results in a decrease in supplies and ammunitions and access to resources. Since the higher latitude conditions are not favorable in winter months, most foreign armies are forced to retreat. Overall, militaries that do not plan effective routes and a plentiful amount of supplies usually succumb to the forces of nature in foreign lands that have significantly different climates than in their homeland. Lastly, another good book for anyone interested in getting an overview of military geography is Military geography for professionals and the public by John Collins. Love #maps and #datavisualization? Please join me at NACIS this year in Greenville! Few Interact With Our Interactive Maps–What Can We Do About It? Call for Technologist(s) - Emotional Mapping Project to prevent Youth Suicides. New stamen.com, and hi Medium! This Year We are Trekking the U.S. West!